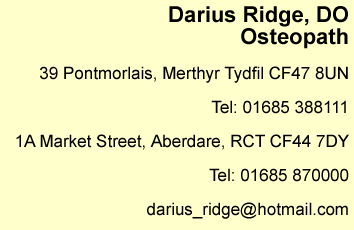 Osteopathy is a system of diagnosing and treating the body's structural make-up; this includes the bones, joints, muscles, ligaments and connective tissue. 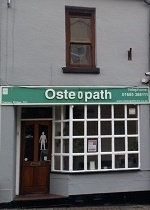 The Osteopath aims to improve the functioning of the body structure by using techniques to relax the muscles and increase the mobility of the joints. The treatment will therefore aim to help the immediate symptoms (for example, back, neck, shoulder, hip and knee pain) and also to help to improve the patients long term health and well being.